~ Information resources, booklets, videos, and more. Gender Minorities Aotearoa is a cross cultural, transgender led organisation in Aotearoa New Zealand, which operates on a kaupapa Maori public health framework. Gender Minorities Aotearoa aims to facilitate health and well-being for takataapui, transgender, and intersex populations, as defined by The World Health Organisation, Te Pae Mahutonga, and The Ottawa Charter. Our vision is for all takataapui, transgender, and intersex people to be empowered by a full range of choices across all aspects of their lives, and to be able to participate fully in society. 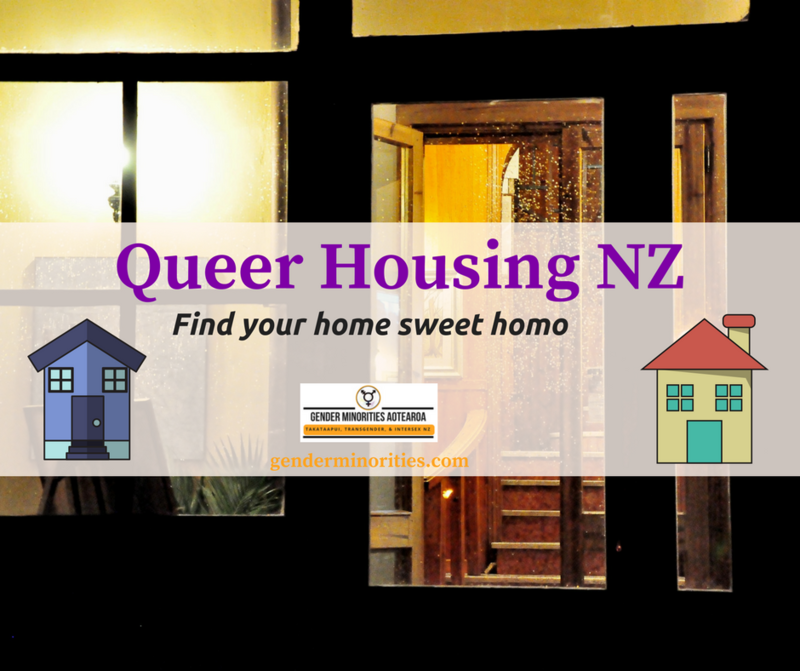 If every person who visited this website this month gave $10, we could help 27 trans people throughout NZ to change their birth certificate AND their passport to reflect their chosen name and gender marker. Or we could train more trans advocates and take 10 trips to rural areas and small towns in NZ to deliver training seminars to health care providers. Or, we could open another self-sustaining regional Gender Centre and Op Shop, every month, until all trans people in NZ had access to local support. We believe in the power of community action. Donate now. Gender Minorities Aotearoa is a cross cultural and 100% trans led national organisation in Aotearoa New Zealand. Gender Minorities Aotearoa aims to facilitate health and well being for transgender, intersex, and takataapui populations, as defined by The World Health Organisation, Te Pae Mahutonga, and The Ottawa Charter. The vision of Gender Minorities Aotearoais for all takataapui, transgender, and intersex people to be empowered by a full range of choices across all aspects of their lives, and to be able to participate fully in society. Gender Minorities Aotearoa operates within the international Ottawa Charter, and Te Pae Mahutonga Kaupapa Maori Public Health frameworks – for improved health and well being through a human rights based model and community led action. GMA uses a Human Rights lens to view takataapui, transgender, and intersex peoples right to equity. GMA also views Te Tiriti o Waitangi as a legal framework for the rights of takataapui to have their cultural, economic, and political well being safeguarded – including the right to practice traditional and culturally specific concepts of gender, and to be recognised, respected, and resourced in doing so.